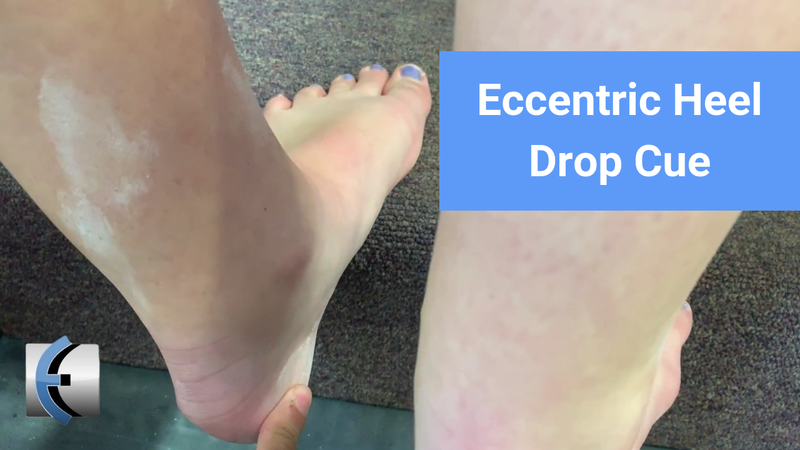 Eccentric heel drops are a great and evidenced way to treat achilles tendinopathy. However, many times, there is a mobility issue in ankle dorsiflexion, lateral tibial glide and/or tibial internal rotation. This often causes the heel to move medially thus causing relative tibial external rotation during ankle dorsiflexion. This further promotes the poor acceptance of load, identified typically as a Clinical Practice Pattern in our Modern Manual Therapy Seminars. A quick cue is a light finger touch to the medial heel to prevent it from going medial and thus eccentric dropping into dorsiflexion in the sagittal plane. Check out Modern Manual Therapy: The Eclectic Approach to UQ and LQ Assessment and Treatment, now fully online! The sale has been extended for my blog readers! Code mmt50 gets you $50 off the normal $199.99 price for the full online seminar!